Discussion in 'Visual Arts' started by 5th-beatle, Feb 9, 2018. I had a total brain lapse. I forgot all about the Marvel character and thought it might be a remake of the Klaus Kinski/Oliver Reed film. Hardy should be great as always. 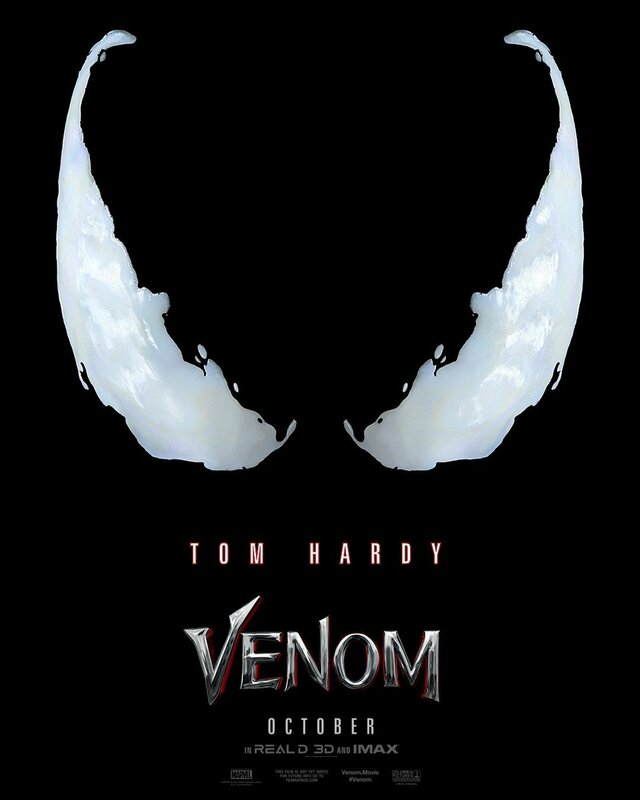 Love Hardy, hate Venom! Marvel took one of the few 'alternate' outfits of a main character that worked, Spiderman's, and made it into this Hulk-lite character with this ridiculous 2 ft. long tongue. I notice in the trailer there was no sign of the outfit OR the tongue! All that said, The character has always been a hit for Marvel which means the kids like him, so what do I know!? Just saw the trailer......hated it!!! What a waste of a fine actor, but God willing, it'll be a big hit for him and he'll reap the financial benefits. The worst part is when the fukakta suit makes its appearance, which means bye bye Tom Hardy, hello total CGI videogame character. But, I never understood the popularity of Venom from the very beginning, so what do I know? Maybe it'll out-gross the Panther! Just wondering, if the film's marketing and publicity campaign explicitly refers to the main character as an "anti-hero", can that character still be considered an anti-hero? I'm still in disbelief Sony/Marvel put the carriage in front of the horse and made a movie devoid of Spider-Man and the symbiotes' first connection to him, not Eddie. Strat-Mangler and Zoot Marimba like this. Anyone else thinks this movie looks like ****? All of the trailers I've seen so far are provoking a very negative reaction out of me for some reason, maybe it's because I hate the look of Venom. I actually thought Spider-Man 3 did Venom right, but I'm a fan of those Raimi movies which makes me an outsider. The suit corrupts the host, any good deeds are arbitrary and come only in the wake of the suit seeking its own benefit. No idea how you'd frame a movie around that, but maybe in more recent times the Venom character has modified in ways to make it an anti-hero. The look of the trailer isn't good to me either, but maybe it'll be a decent action movie who knows. genesim, eric777 and Encuentro like this. I'm on the outside with you, so you're not alone. I enjoyed the Raimi movies, including Spider-Man 3. Yes, I even enjoyed the dancing scene. I'm not a fan of the Andrew Garfield movies, and I thought Homecoming was okay but nothing special. genesim and Bobby Boogaloo like this. The movie's ONLY saving grace is Tom Hardy. He's been very smart choosing his projects. That's why this one is such a head-scratcher 'cause it looks really, really bad. Can it be that he knows something we don't? Nah, maybe the kids'll dig it and its the start of a franchise. I think one of the primary reasons a-list actors choose to do superhero flicks is 'cause it like winning the lottery for them, over and over! Captain Beefheart homage album title. 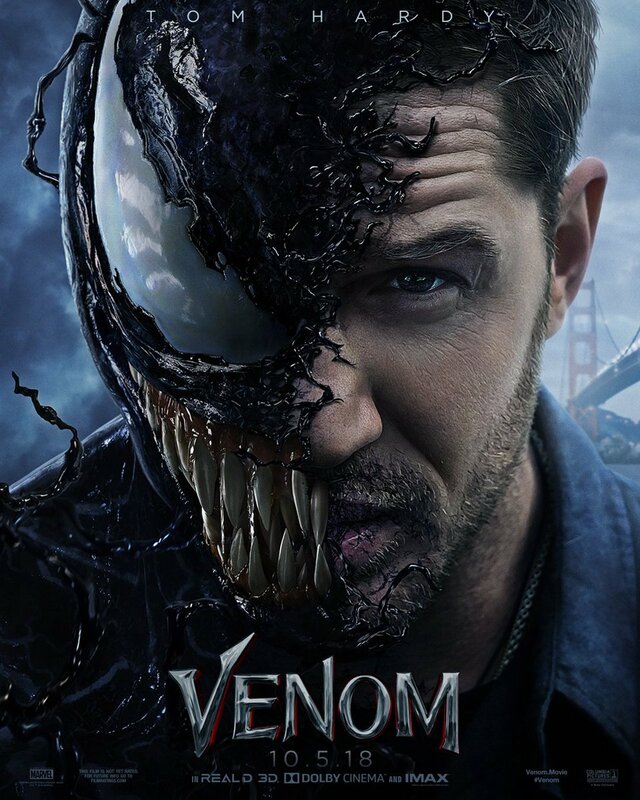 I think Venom looks great. I am probably the target audience for this film, since I seem to have a "forever rage" behind my eyes (which always gives me away ). Randy Moss is a national treasure! Gonna catch this tonight ……….. but keeping my expectations low. Enjoyed it ……….. I don't care what Rotten Potatoes say. I thought Hardy played the goofier side of the character really well. I've only ever seen his serious hard man roles. Well Rotten Tomatoes didn't say anything about Venom, out of 103 critic reviews counted so far 72 are Rotten. It was a relief to see a [associated] Marvel film that had just 4 characters and not 67 to focus on. Not too much throwing each other through buildings with no ill affects. I hope at the future event they are laughing at the clips ……….. there were some funny moments in his descent to the bottom of his life ......…. and from the Venom inhabiting him. It just shows he's got more than one dimension to him. You're missing the spirit in which these comments were written. It's unintentionally funny. And I have to agree that everything about the trailer looks terrible. The look, the licking, the voice, etc. Just terrible. No idea what Tom Hardy is like in real life so I'm wondering whether he's saying these comments tongue-in-cheek or if it's biting criticism of the final product. - When asked "What was your favourite scene to film?" he said: "Things that aren’t in this movie." - "There are, like, 30 to 40 minutes' worth of scenes that aren’t in this movie... all of them. Mad puppeteering scenes, dark comedy scenes. You know what I mean? They just never made it in." Surely it's not as bad as that Fantastic Four Movie. That's worse even than Affleck's Daredevil and X3 combined. If nothing else, Tom Hardy is usually pretty fun to watch in just about anything. I think fans can expect a second "R" rated version of the film for the Blu-Ray-4K.